for more than sixty-five years, the savannah herald has been giving the good news to the african american community of this small region in the deep south. at 1803 barnard st., you will find a humble, small, squat concrete block building in a bright green coat of paint complementing the red newspaper dispenser. the hand painted sign on the front wall above the door evokes that slow, rustic spirit of a bygone era so prevalent in these parts of the south. inside the newspaper, you can find items such as birthdays, church hours and social events. “savannah’s black voice – making it plain”. 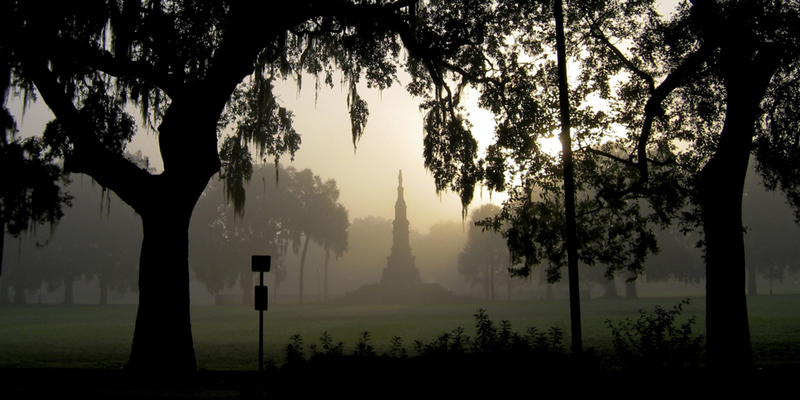 the sun rising in savannah. this simple, small town holds five years of memories and friendships. it also holds the backward ways of the south (sometimes repulsive, sometimes charming), in contrast to the progressive ways of the art school within, that has given it a rebirth and new life. some of the planet’s most walkable and beautiful human-scale environments you may ever encounter are silently nestled here. its urban layout is studied and appreciated by urbanists the world over. tourists come to see the monuments and steeples, but its real treasure is in the squares. live oak trees, hundreds of years of age, give the small city its character and breathtaking beauty, a vegetated canopy that provides a natural high grand ceiling over our heads. light bounces off of every single leaf creating a unique effect that changes with the rhythm of the day. it is a beautiful reminder of our inextricable bond with nature. our planet is made mostly out of water. of all this water, only a fraction of one percent (0.014%) of it is actually available for drinking. there are almost seven billion people and counting. in savannah, georgia, the smell of the water hits you like a brick in the face. the ‘drinking water’ smells like rotten eggs and cheese on old, wet running shoes with the soggy socks left in them. 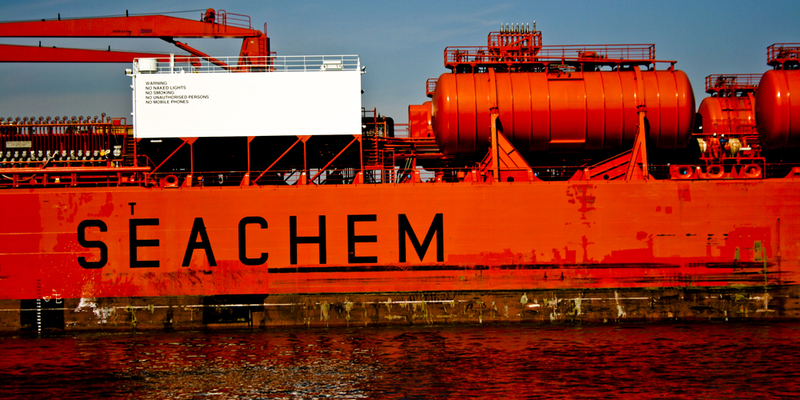 what you see here is one of the many colossal tankers that penetrate up the beautiful savannah river and into the port, one of the largest in the country. like floating city blocks, the massive giants make their way dumping petroleum waste into the air and into the water. like a poisonous snake in the wild, the red color suits its volatility. the big, white banner states: warning, no naked lights, no smoking, no unauthorized persons, no mobile phones. before leaving office, bush passed a law allowing the removal of the mercury sensors in the savannah river, letting who knows how much more industrial waste to be dumped in it. i wonder how much of that fraction of a percentage of drinking water is not yet contaminated. let’s keep water in mind, let’s keep this tanker in mind, let’s keep each other in mind. let’s be mindful of every decision we make. big or small, you alone are what makes change happen. giant blocks of ice made a small white mountain outside the civic center at the back of the loading dock. disney on ice had come and gone from the small, charming city of savannah. and now, that giant slab of ice needed to go. the easiest solution was to just break it up and toss it out the back. all i can think of now is how many homes could have been cooled with this ice, how many thirsty people could have quenched their parched throats, how much water and energy were wasted in order to amuse first-worlders, where so many people don’t even have a drop to drink. at the time, we found it really amusing. 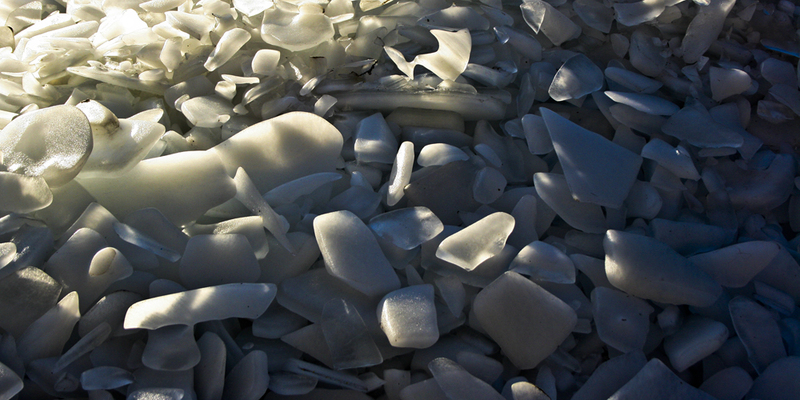 the crystals reflected the savannah sunlight in all colors and directions, sculptures began to emerge from the brilliant heap. my friend even biked up and down it. now i have this image to remind me that one man’s trash is another’s treasure, that resources must be honored, used and designed with all in mind. the sun coming down in savannah, georgia is a spectacle of color each and every single day. some people say that the pollution from the nearby paper mill is what intensifies some of the colors; nevertheless, that does not remove a bit of its beauty and old splendor, although it provides some funky smells now and then. 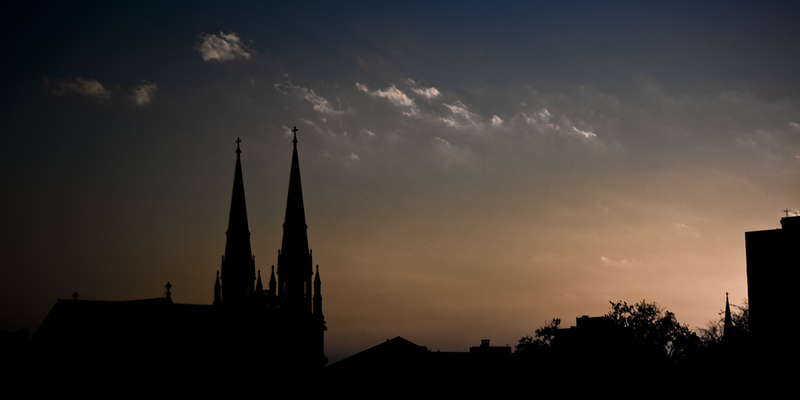 silhouetted against the afternoon sky are the bell towers of the cathedral of saint john the baptist, one of the many beautiful churches on the trust lots of savannah, the urban frames of the city’s famous squares, a little park in every ward. enjoy the last sunday of november 2009! 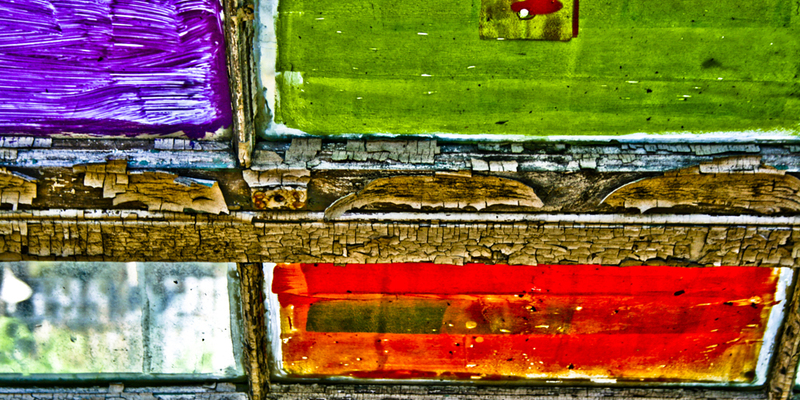 depicted here are reclaimed windows that have been recycled and now used as a sunscreen element in a greenhouse at the martin luther king jr. community garden in savannah, georgia. designed and built by paul schwartzkopf, this garden embodies what humanity needs now: to come together, to build communities, to grow our own food, to spend time in the sun, to make things with your hands, to learn trades, to build something you are proud of, to meet your neighbors, to lend a helping hand, to teach others what you know, to be of use, to do good. paul, thanks for your vision.